New Features to Drive Sales and Measure Results in AdWords - eBiz ROI, Inc.
John F. Kennedy, arguably one of America’s finest Presidents, once said that “Change is the law of life. And those who look only to the past or present are certain to miss the future.” At the time, President Kennedy was referring to the rapid revolutions occurring in geopolitics at the height of the Cold War, but his stated principle: that change is an unavoidable fact in an ever progressing world, holds true across virtually any field you can think of, including and especially business. In the business of advertising online, change is ubiquitous. It can be seen in ever changing formats, strategies, and of course, tools. 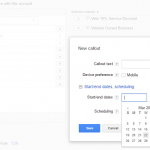 The other day, Google announced a new suite of features for AdWords. For the uninitiated, AdWords is Google’s pay-per-click advertising service. New features always mean new opportunities in AdWords. Among the announcements were innovations for local advertisers, brick and mortar retailers, and more. There’s plenty to explore. In this spirit, we’ve decided to dive into this here at the blog. 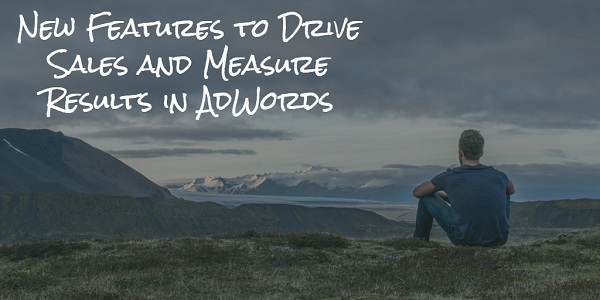 Today, we’re covering new features to drive sales and measure results in AdWords. 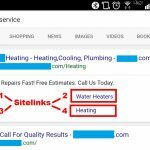 One of the most useful features in AdWords are ad extensions. They help make your ads more visible, informative, and interactive. In particular, location extensions can be great for helping customers reach out to when they’re close by. Previously, affiliate location extensions were only available on Google’s search and display networks. 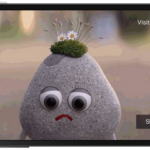 Among Google’s announcements however was an initiative to expand them to video campaigns on YouTube as well. This is great news for businesses that advertise on YouTube! Affiliate location extensions help brand manufacturers drive and measure foot traffic to nearby retail stores that sell their products, and Google predicts that adding affiliate location extensions to TrueView and bumper ads can increase their clickthrough rate (CTR) by up to 15%! That’s potentially a lot of extra store traffic. 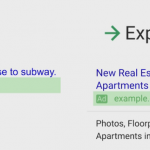 Desiring to help their users find an engaging, informative experience while searching with them, Google has introduced a new type of ad for use by all advertisers: Local Catalog Ads. A type of lightbox display ad, these ads have been receiving praise from advertisers and users alike. They attempt to capture the beautiful stories brands often craft in their printed catalogs, and allow them greater visibility across the web. They also help shoppers preview what is being sold in a physical store. This has historically been shown to increase users’ likelihood of actually visiting said store, should they see something they like. Google has also unveiled a new feature which should benefit advertisers in a similar fashion. New price benchmarks in AdWords reporting will soon be available that will show advertisers what amounts other retailers are charging for the same or similar products. This can be immensely useful for setting your own prices and staying on your competitive edge. You can also use this price information to inform your bidding strategy. You don’t want to spend far more on a click than the subsequent conversion would be worth for your business. Other retailers might not always get pricing right, but they do make for a valuable comparison if nothing else. New ad formats, extension availability, and price benchmarks are all on the way from Google AdWords soon. 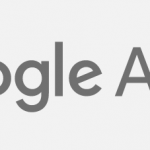 Offering better ad performance, reach, and user experience, each of these new features promises to be a big help in pushing your AdWords campaigns into the future. If you can, try and implement these new ideas, and keep up with all subsequent changes by reading the blog or doing your own research. Adapt to change, make it your new strength, and make President Kennedy proud. How to Optimize AdWords ROI – From here at the blog.